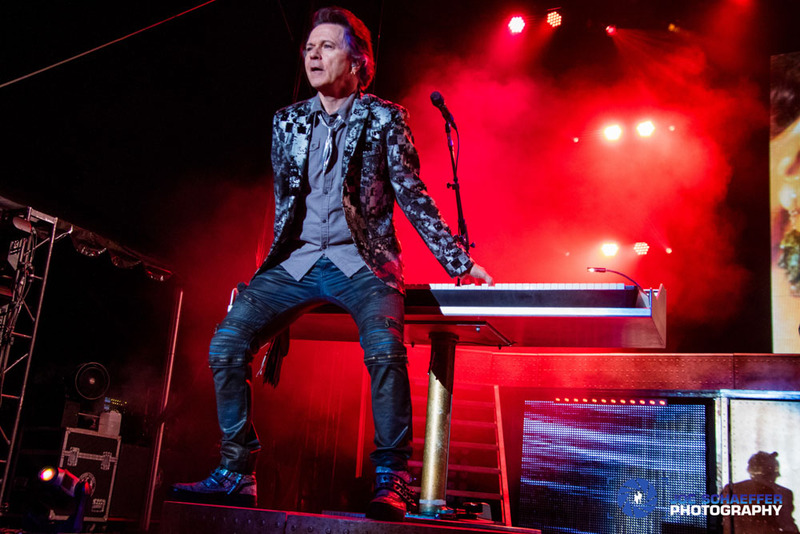 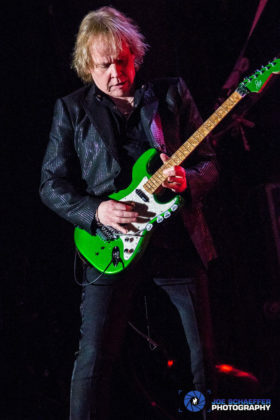 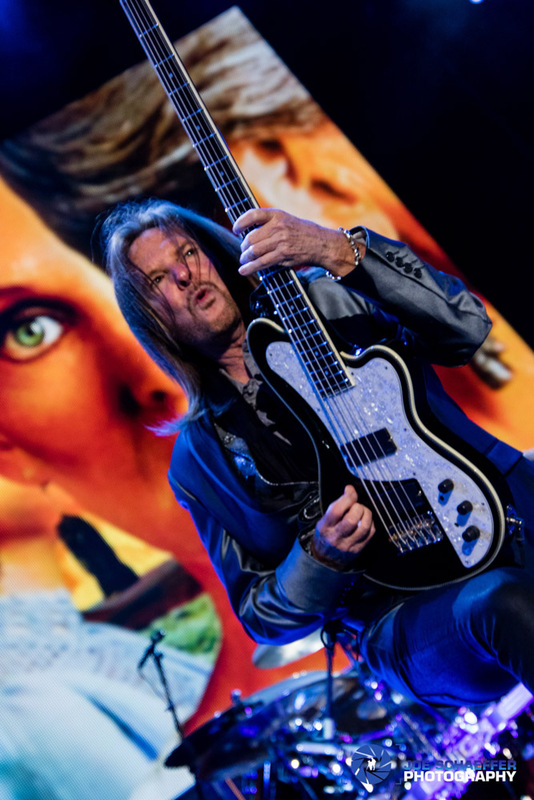 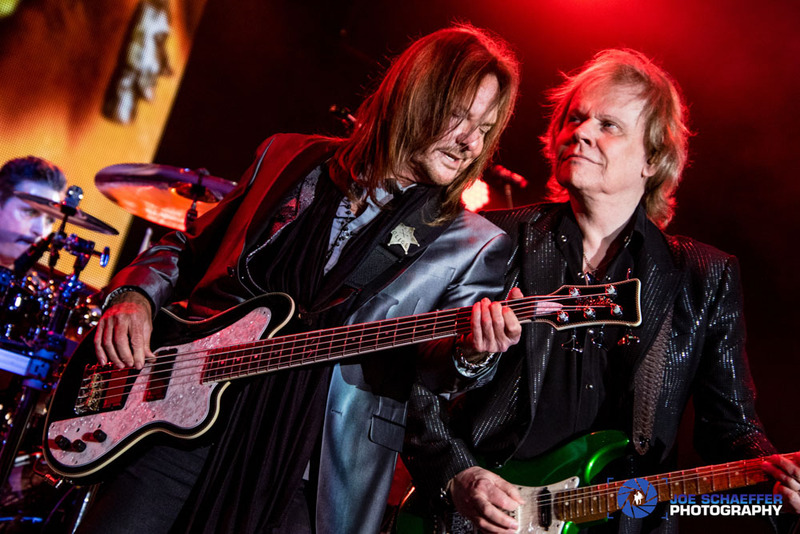 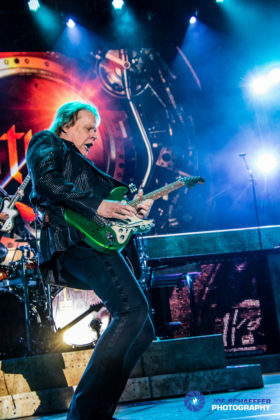 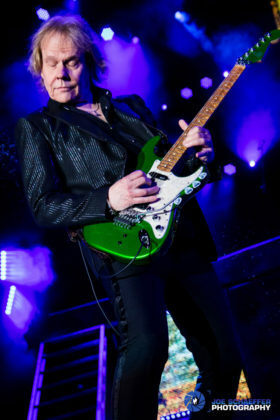 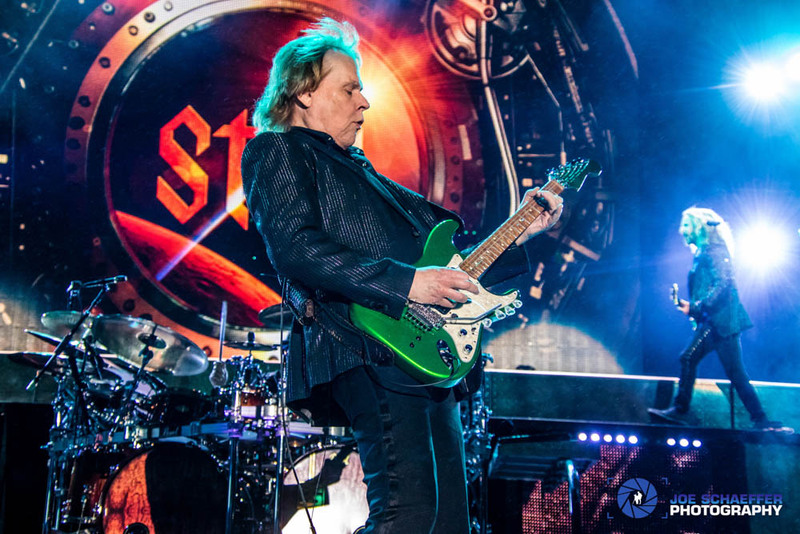 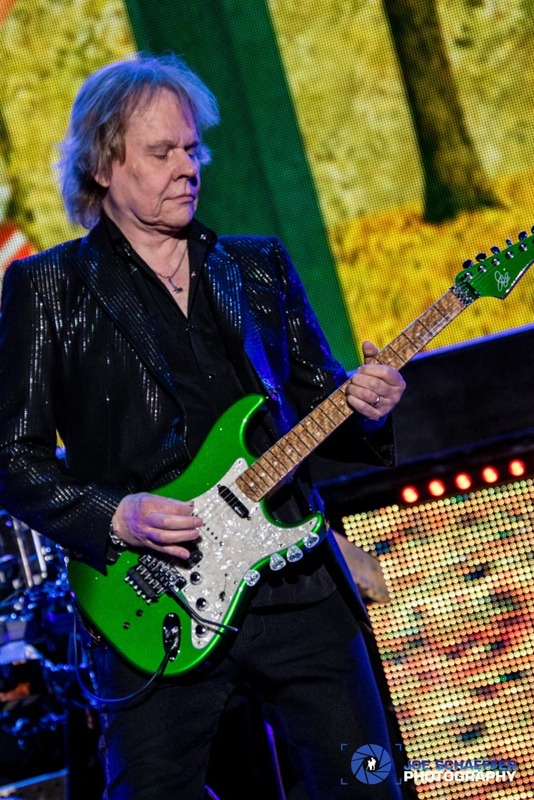 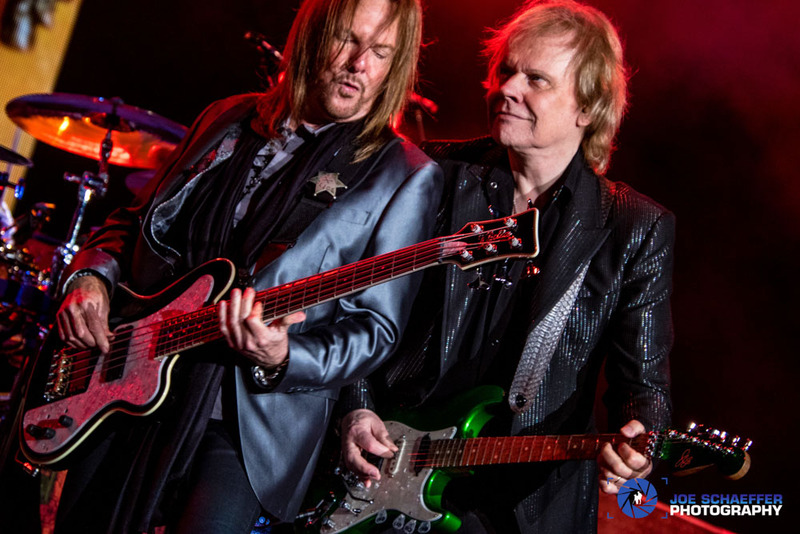 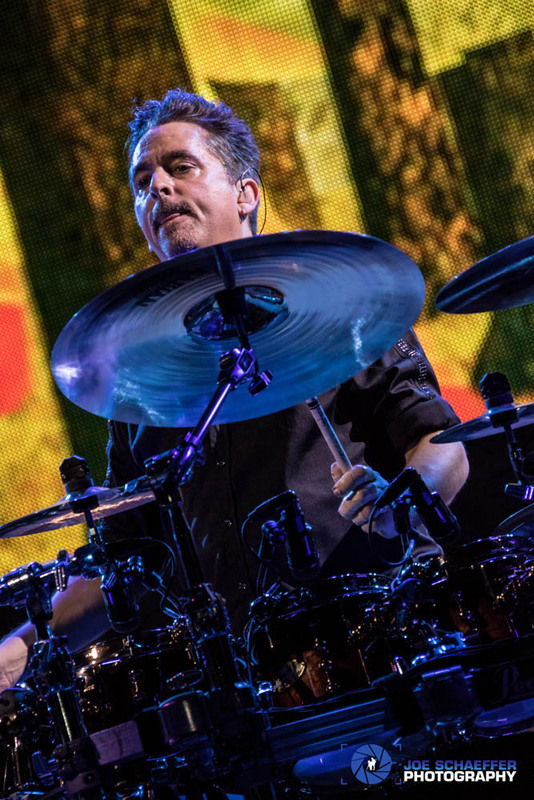 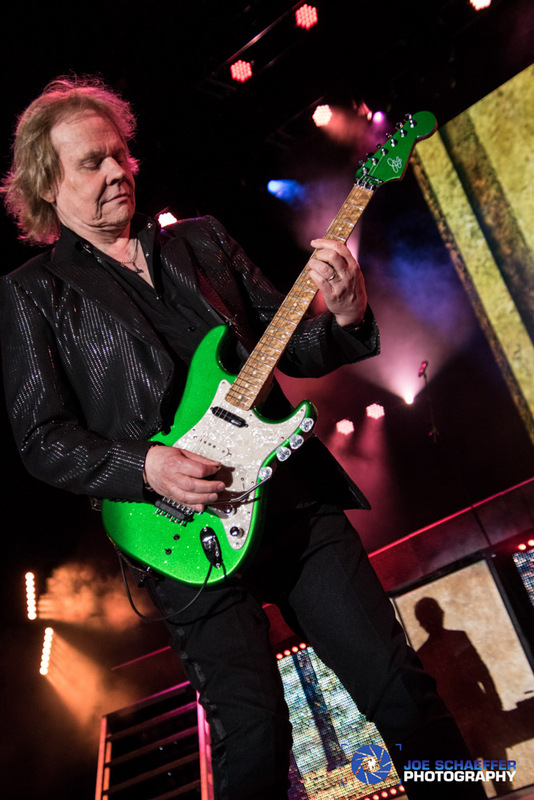 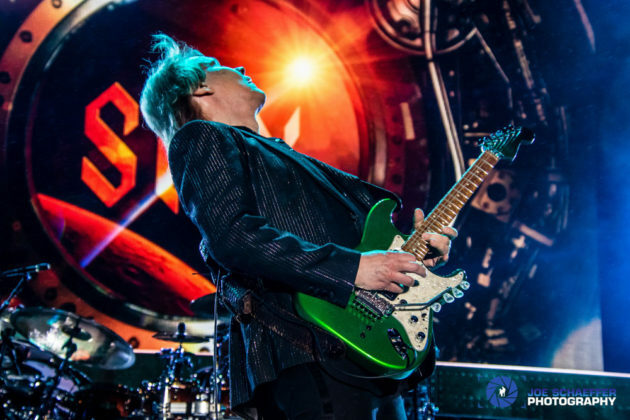 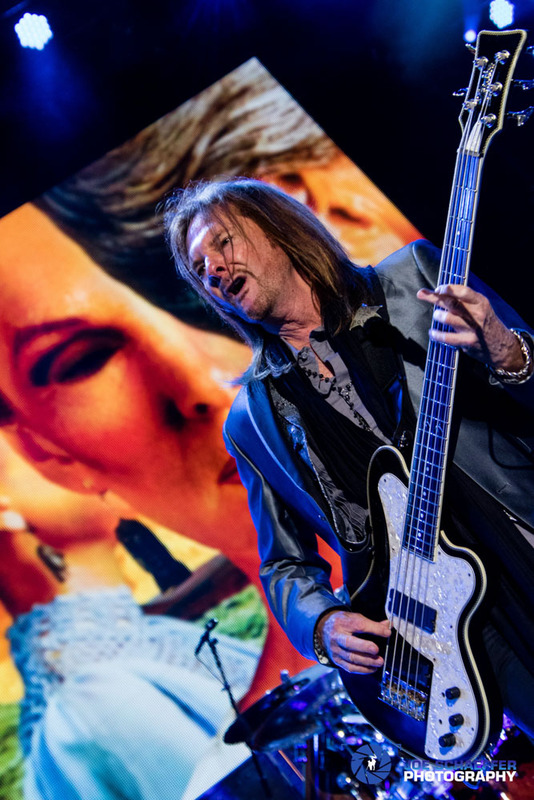 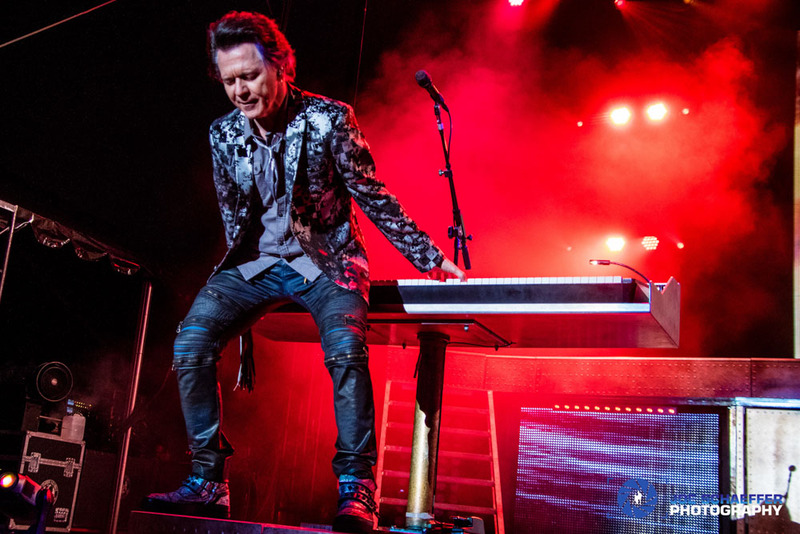 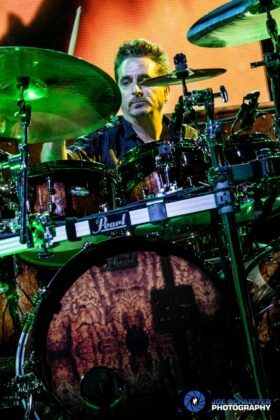 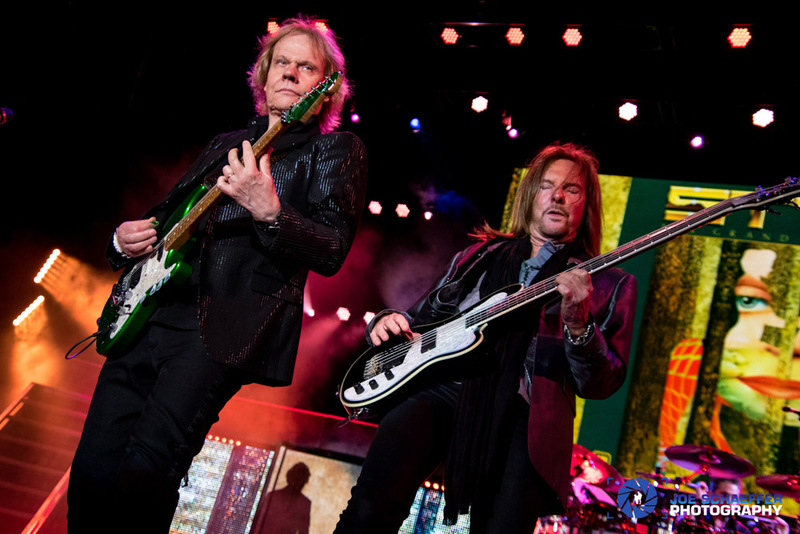 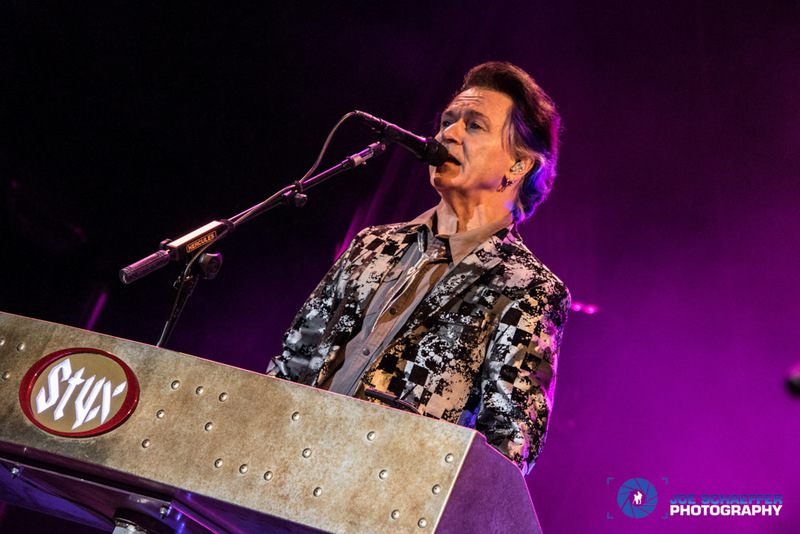 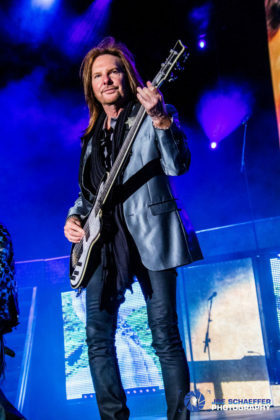 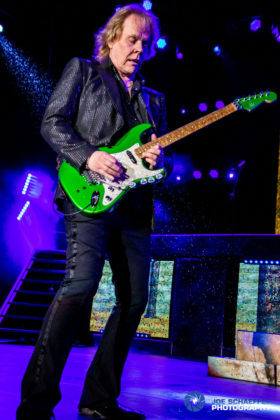 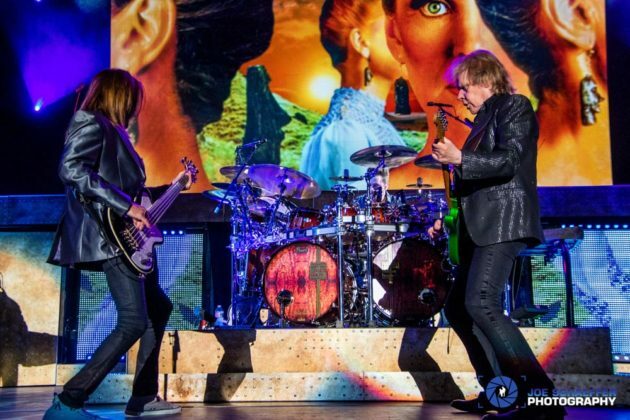 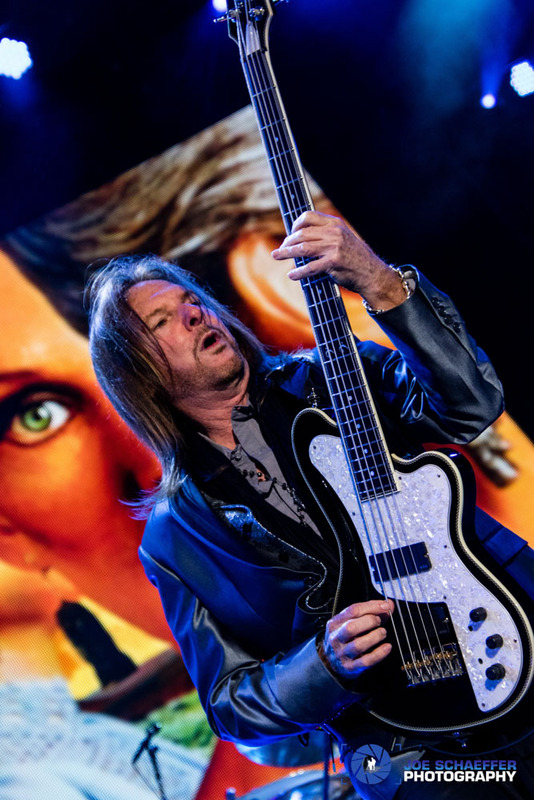 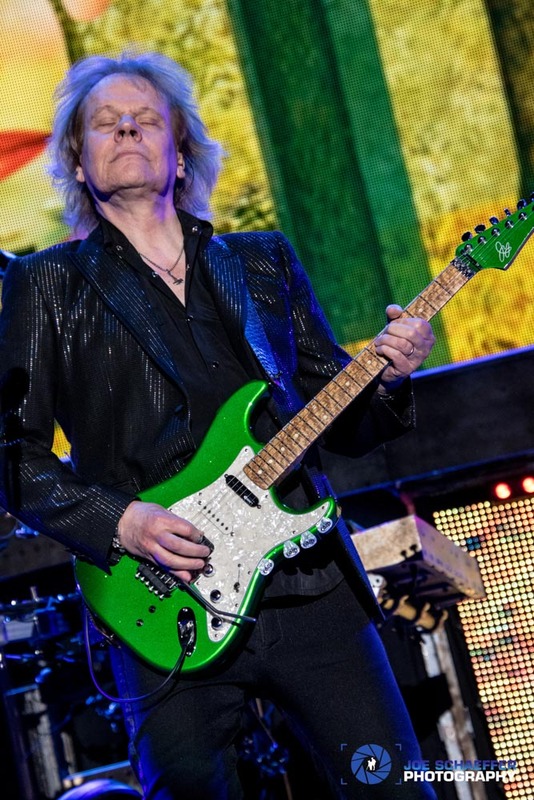 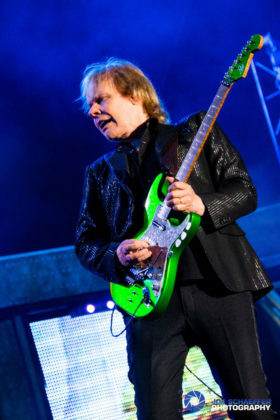 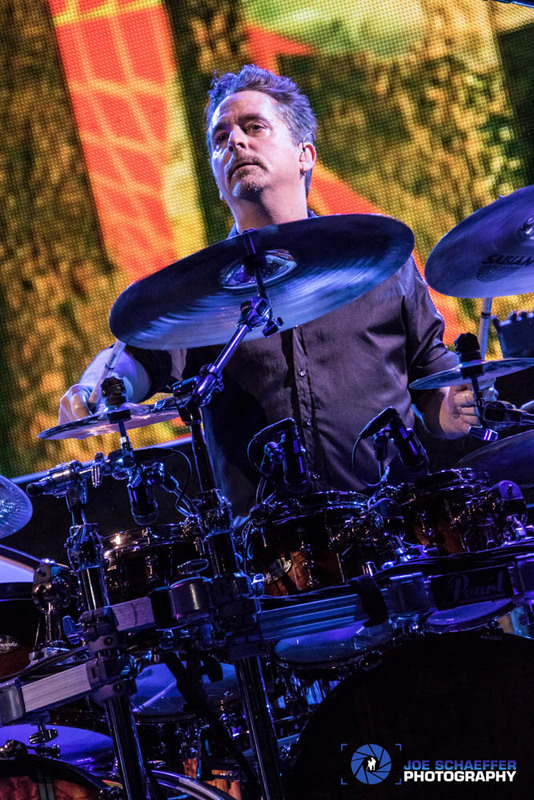 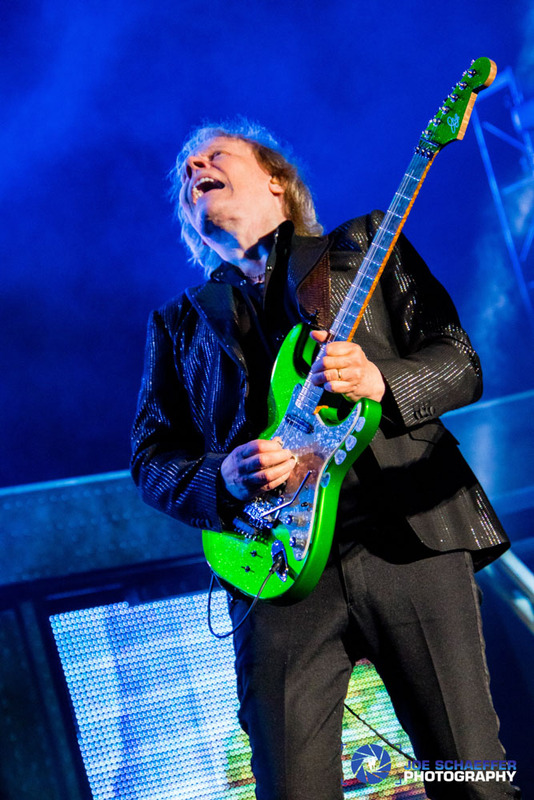 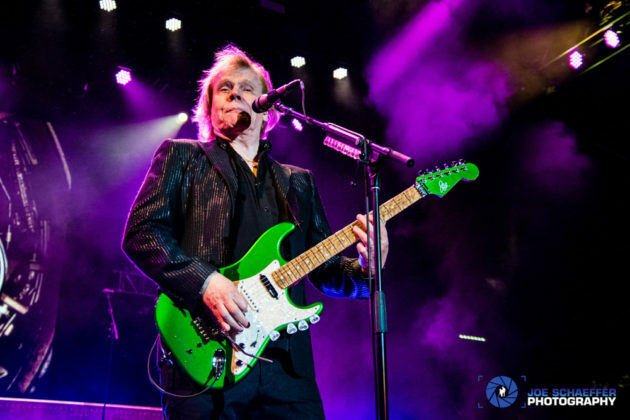 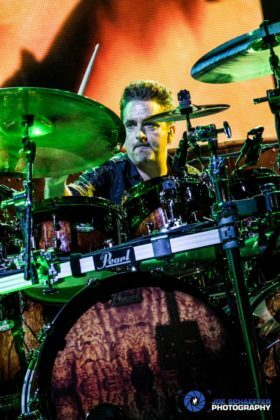 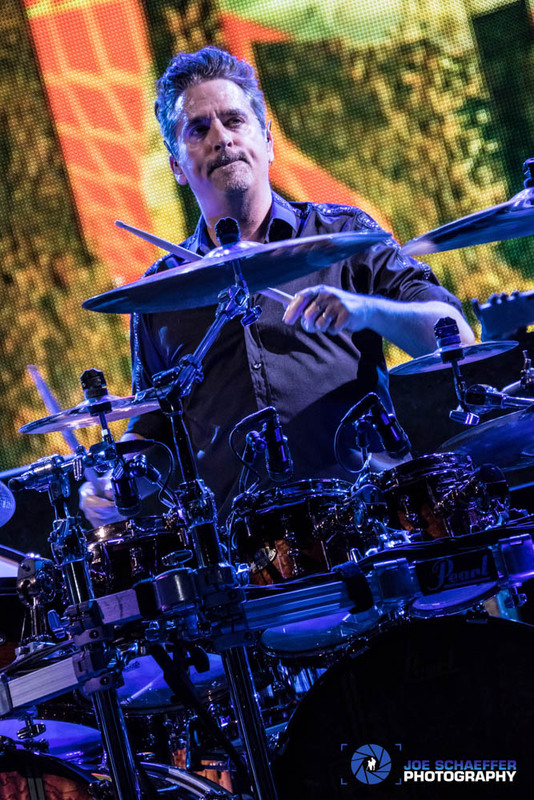 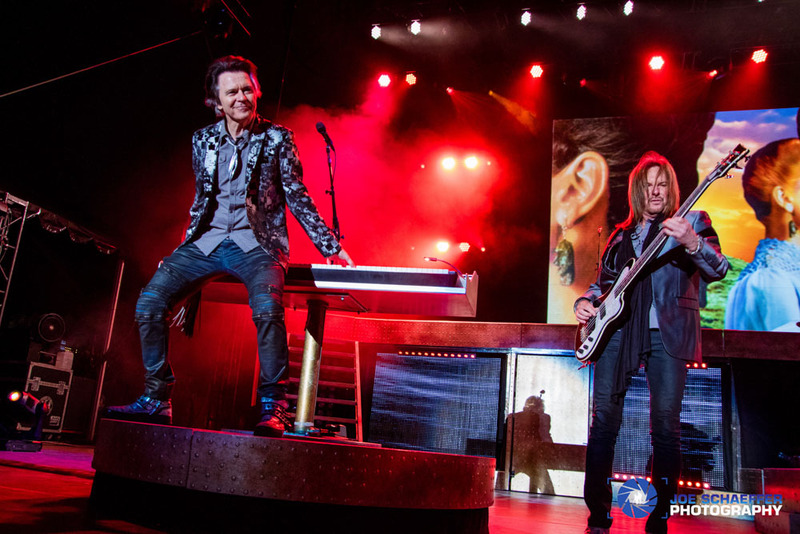 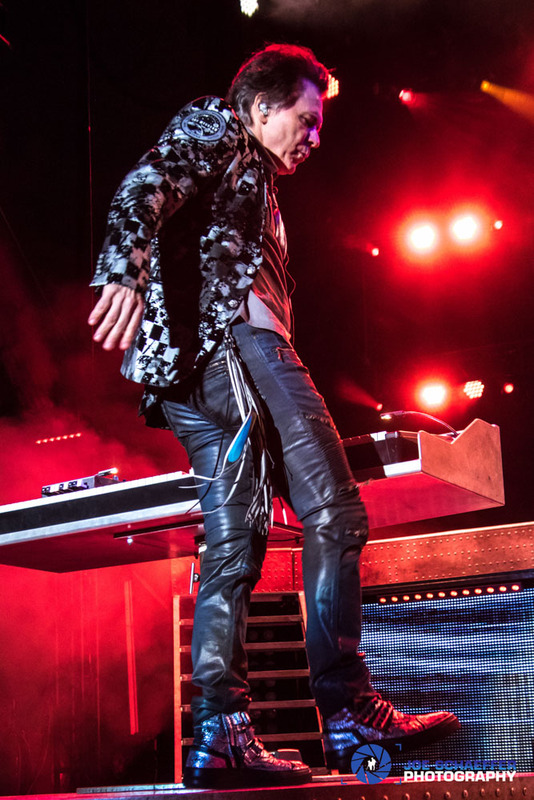 The band formed in Chicago in 1972 and currently consists of founding member and guitarist/vocalist James Young, guitarist/vocalist Tommy Shaw, keyboardist/vocalist Lawrence Gowan, drummer Todd Sucherman and bassist Ricky Phillips. Still on occasion original bassist Chuck Panozzo joins them on selected shows. 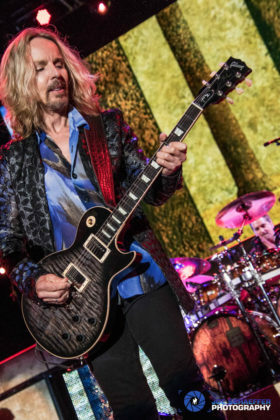 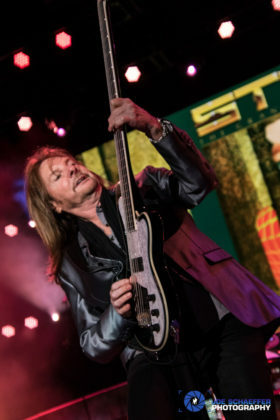 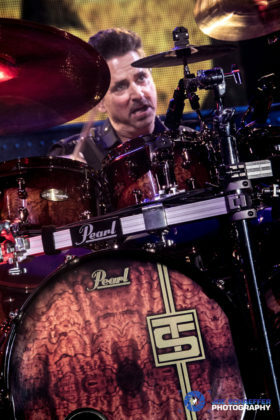 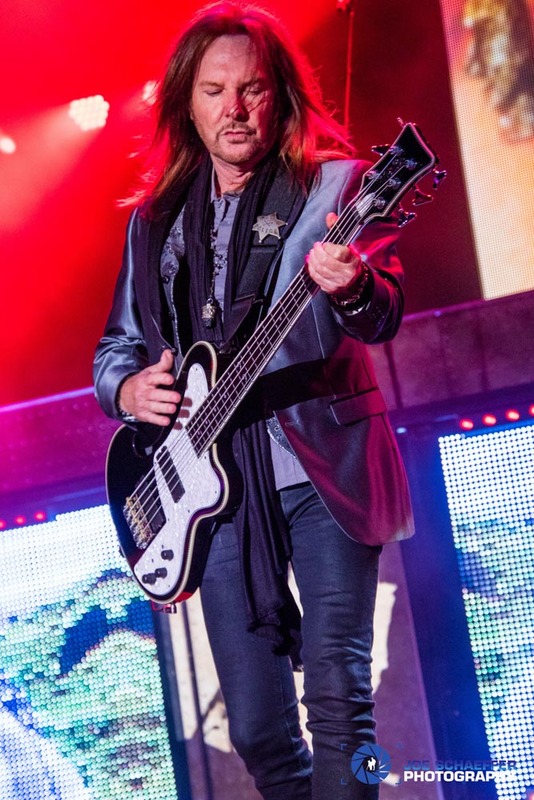 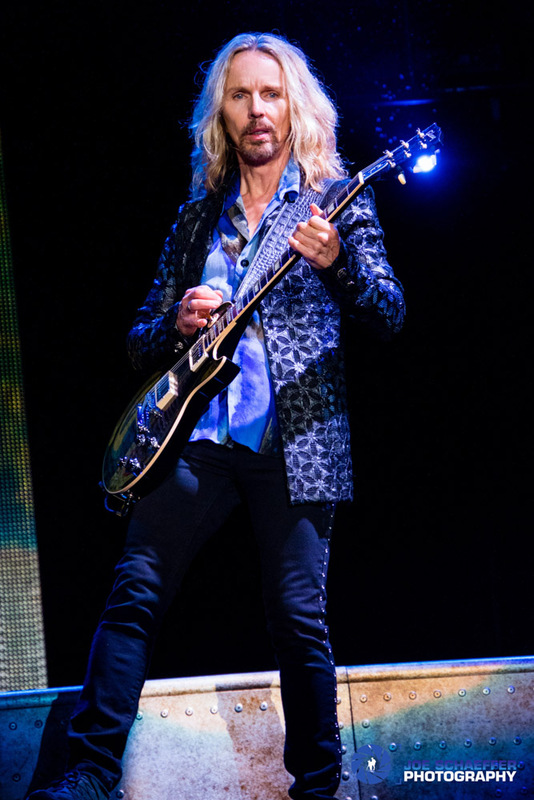 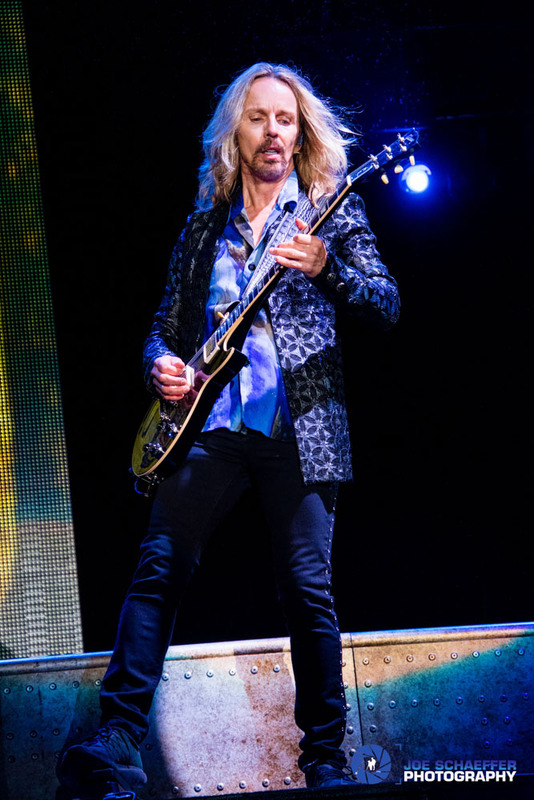 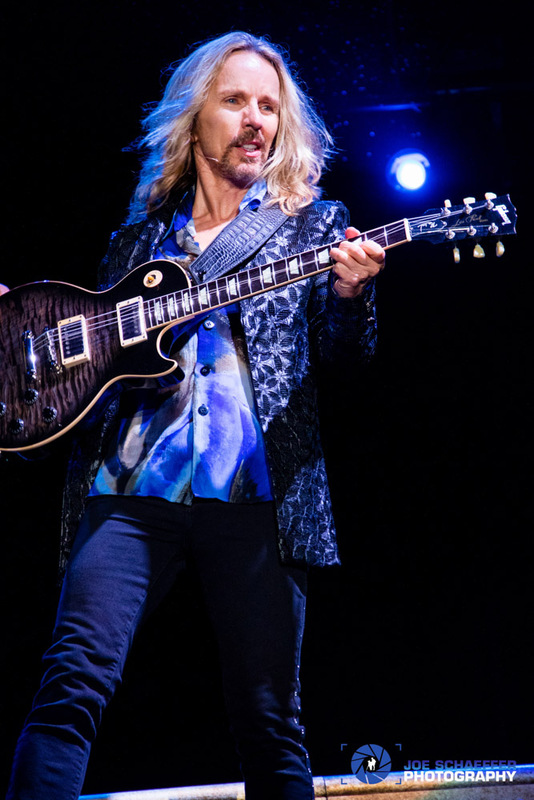 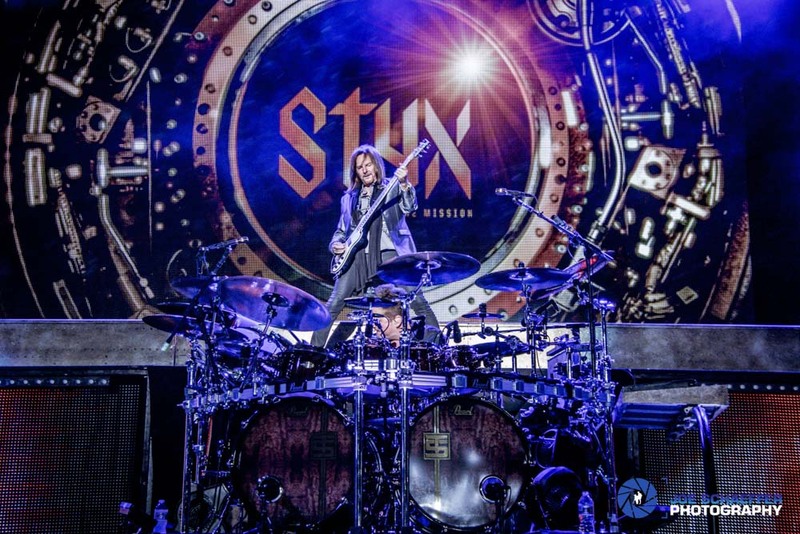 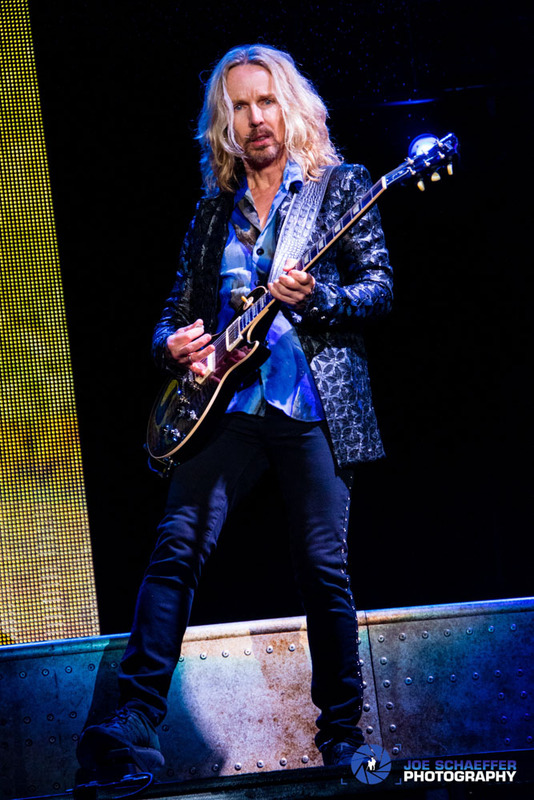 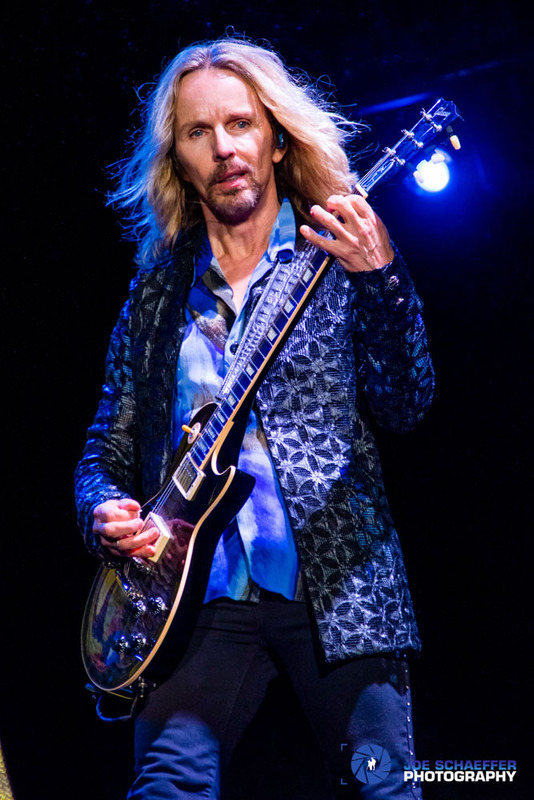 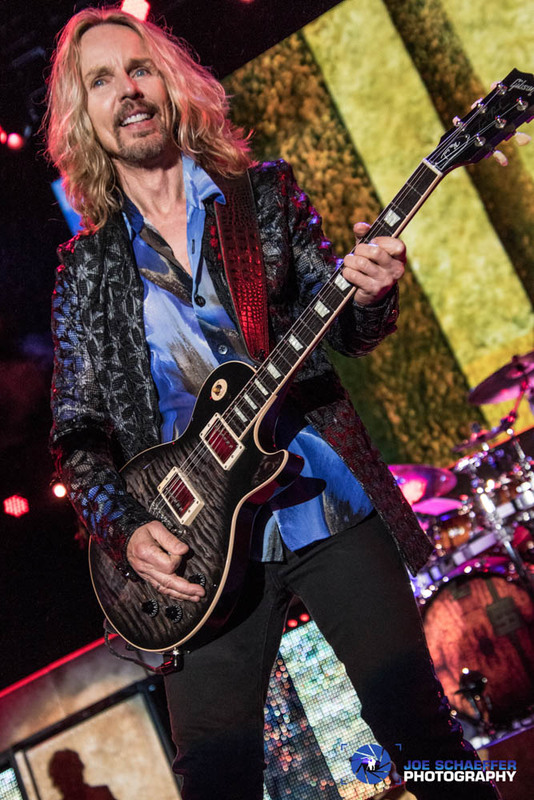 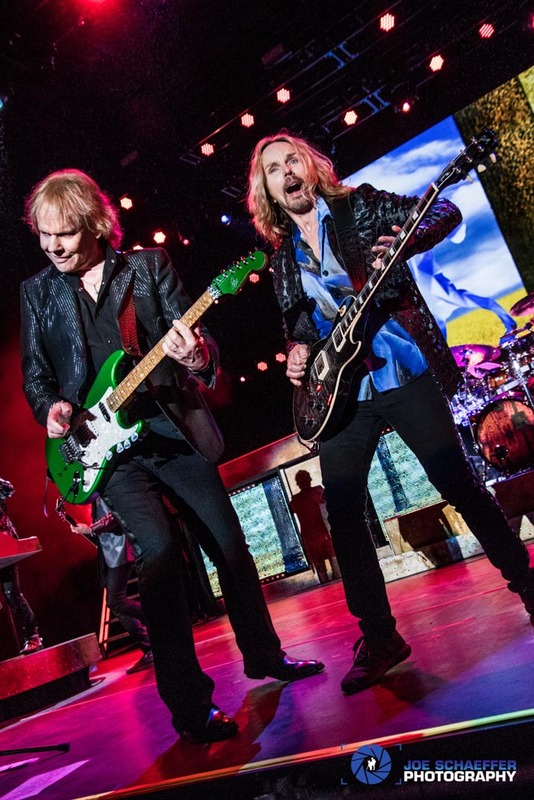 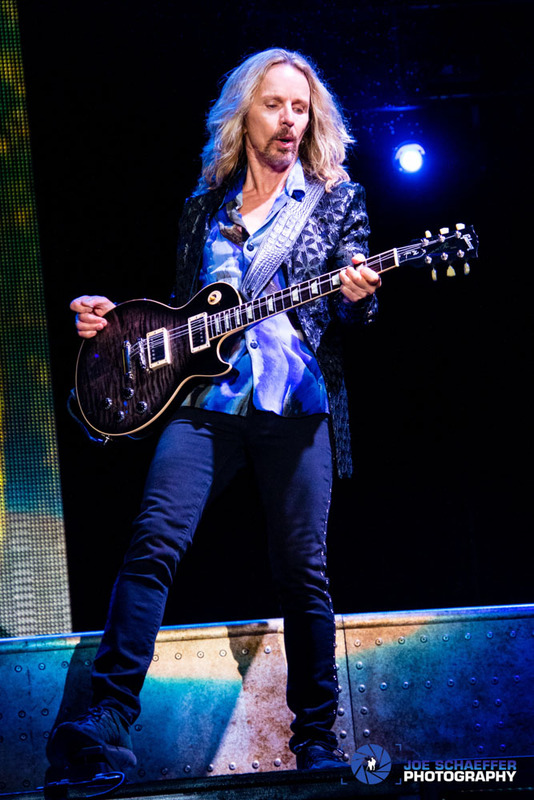 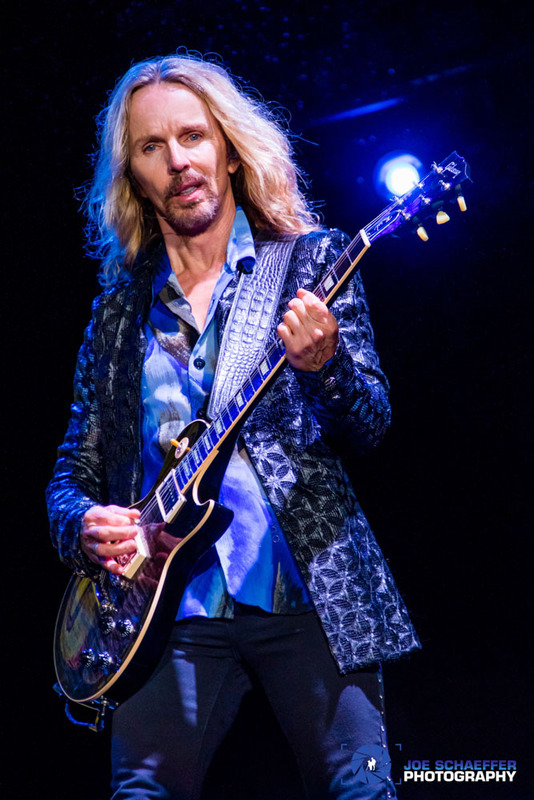 Styx opened up their Summer Tour this evening in Irvine, CA. 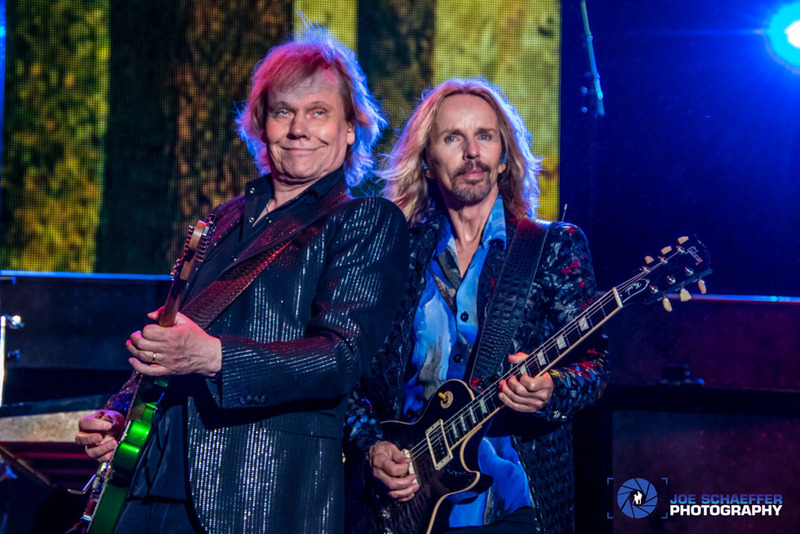 2018 marks the 40th Anniversary of their Triple Platinum release “Pieces of Eight”. They were joined by Tesla and co-headliner Joan Jett and the Blackhearts on this cool spring evening. 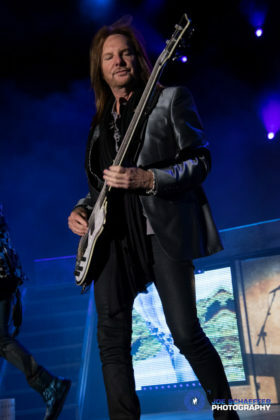 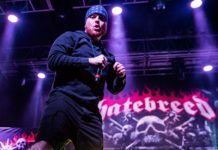 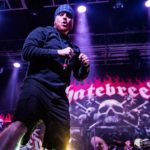 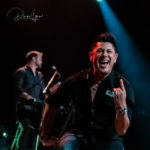 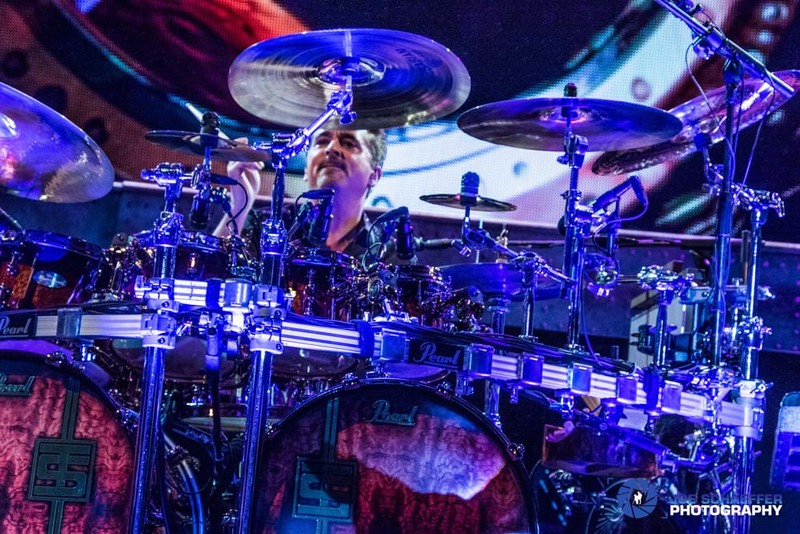 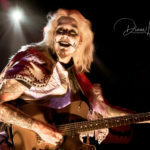 The set opened with “Gone, Gone, Gone,” a track from their latest studio album “The Mission” which was released last June. 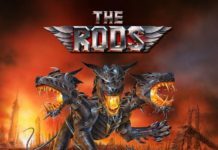 Their sound on this album is an unrepentant throwback to the bands late-’70s prime. 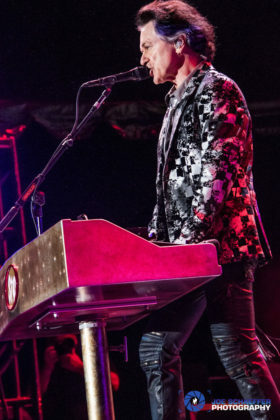 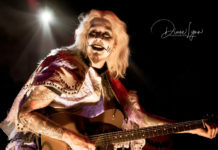 “Radio Silence” and “The Outpost” were also performed from the new disc. On this evening Styx delivers one heck of a performance. 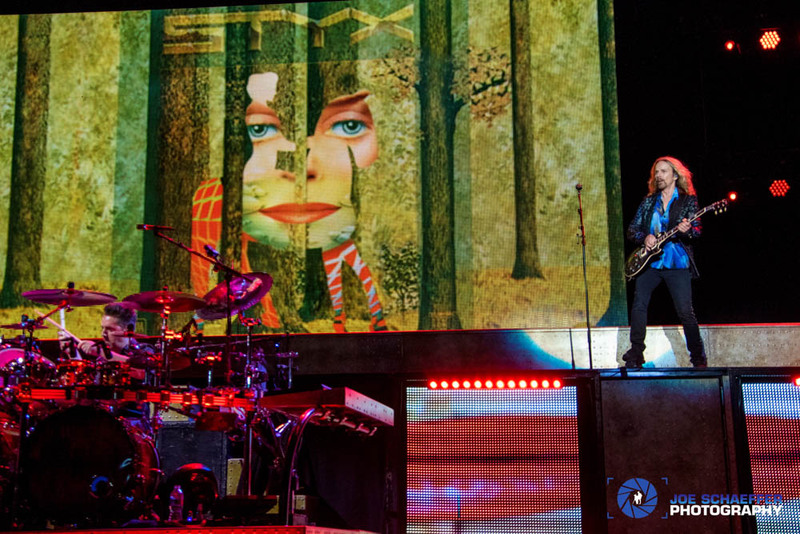 With songs like “Grand Illusion”, “Miss America” and “Too Much Time On My Hands”, to name a few. 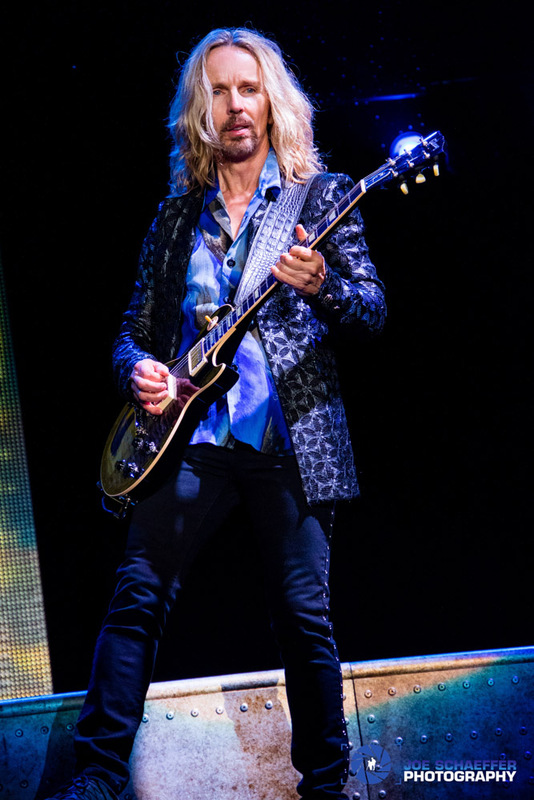 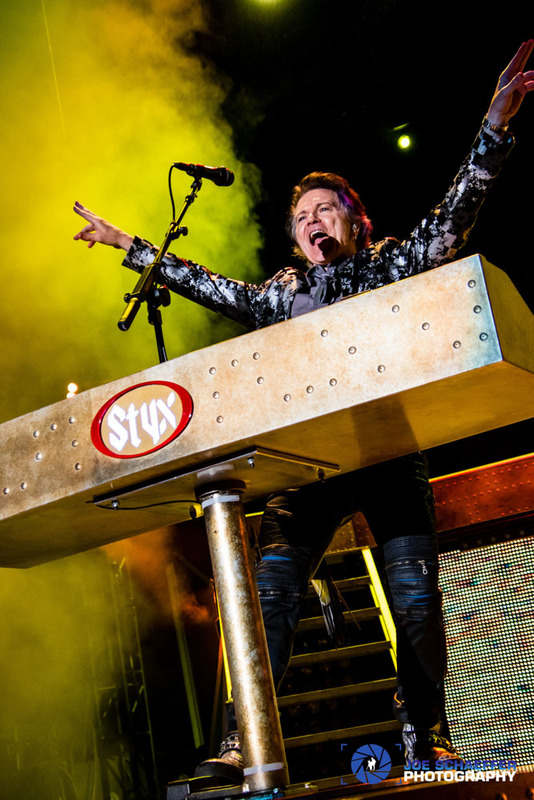 Styx had the crowd pumped throughout their entire set, and even got the fans singing along to Queen’s “Bohemian Rhapsody”. 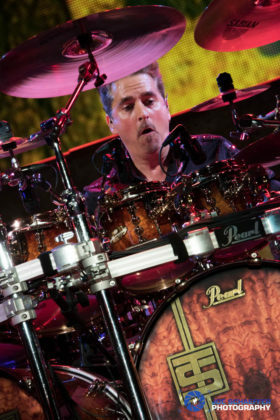 Chuck Panozzo joined the band for “Fooling Yourself” and “Come Sail Away” which brought the set to a close. 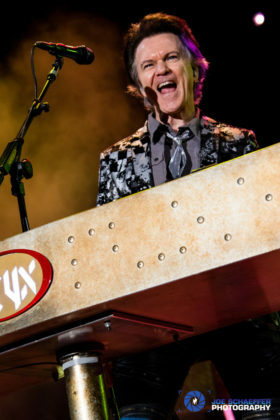 The crowd was treated to a stellar performance of their 1983 hit “Mr. 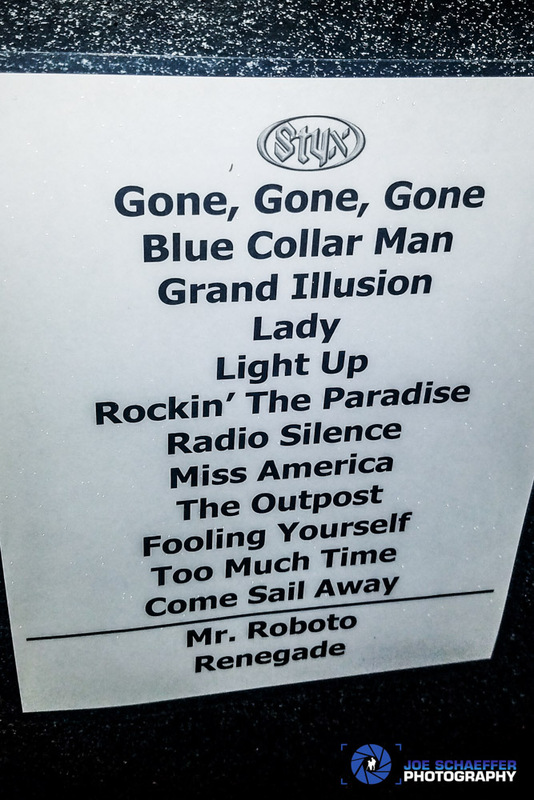 Roboto” during the encore. 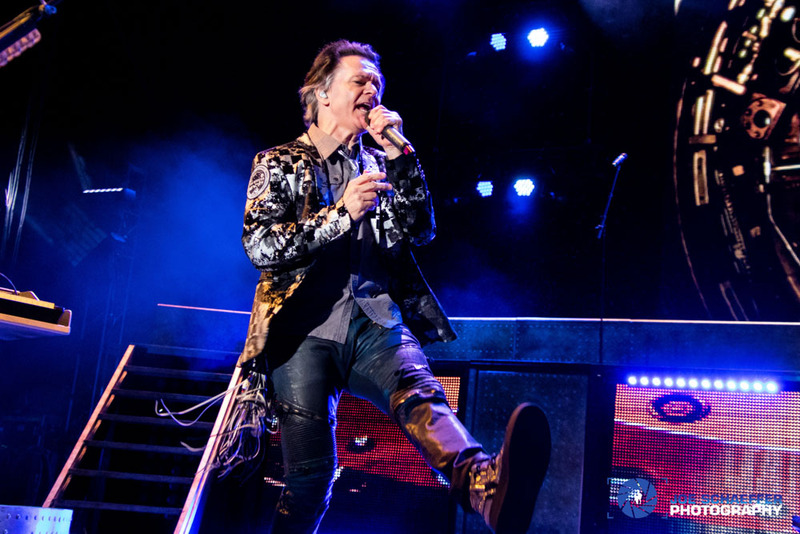 It was noted that was the first performance of the song since 1984. 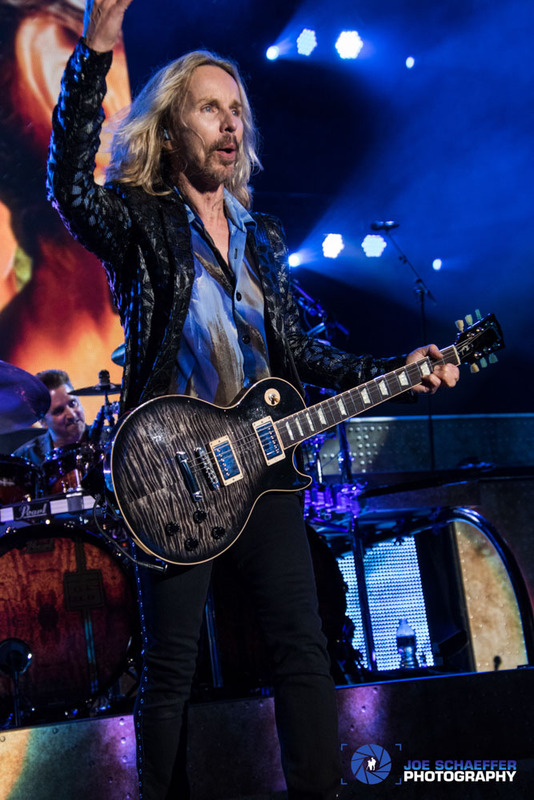 “Renegade” ended this misty cool night. The tour continues Friday in Concord and rolls on until mid July.